Call Whisper solution plays an announcement message to the person answering the incoming call before the caller is connected. 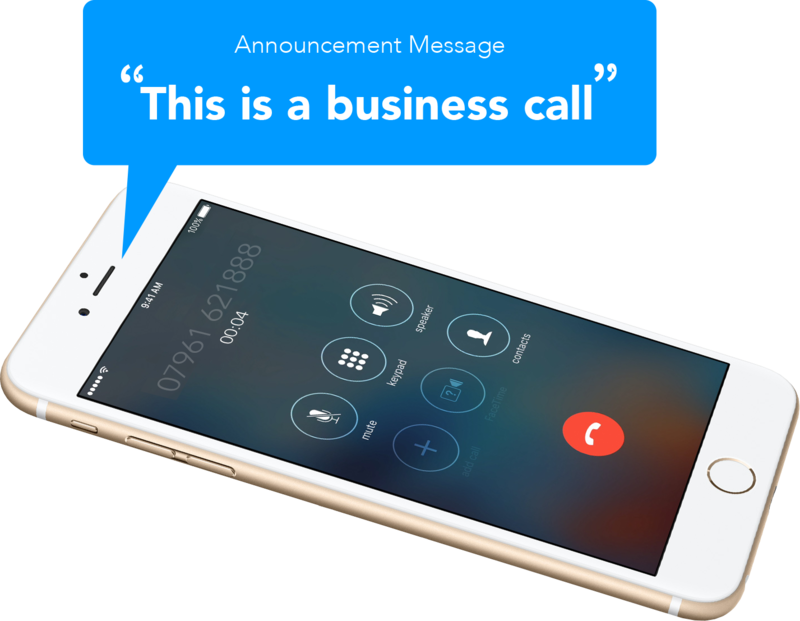 The Whisper message is played "This is a business call", and the call is automatically connected. The Call Whisper announcement will only play to the person who answers the call; the caller will hear a continued ringing until the point that the call is answered. Tailor the Call Whisper announcements to your branches and departments based on the setup of your business. An example "This is a used car enquiry" or "This is a Birmingham office enquiry". Recordings can be set up to help you handle calls effectively no matter where you are. A growing number of business owners and sales personnel use their mobile phone to make and receive important business calls. Managing personal and business calls from the same device can be difficult and calls are hard to separate from a family member / friend or a client signing off on a project. Call Whisper removes the worry and issues handling important calls correctly; giving your mobile phone a feature generally available on a feature-rich telephone system. HANDLE CALLS WHEN YOU ARE ON THE MOVE - ANYTIME, ANYWHERE. Running from one client meeting to another, visiting a development site, travelling to an exhibition - the list of tasks which keep you away from your desk are ongoing. In order to handle calls when you are out and about, the Call Whisper solution helps you to manage business calls in a hassle-free way. The played announcement is an instant notification that you need to step away, talk privately and handle the call with care.